Owners and CEOs of mid-sized businesses face a wide range of both opportunities and threats every day. For example, new technologies like the Internet can change the face of industries practically overnight, creating new opportunities that were unimaginable before. Meanwhile, threats like the emergence of new competitors can jeopardize market share, revenue and profitability. Businesses that are successful over the long term can identify and take advantage of opportunities and minimize threats to the ongoing profitable operations of the company. One tool that can be used to help identify opportunities and threats is what’s referred to as a PEST analysis. No, a PEST analysis doesn’t have anything to do with roaches or spiders. PEST is an acronym for Political, Economic, Socio-Cultural and Technological changes in the business environment. Sometimes, Legal and Environmental changes are added to the acronym, making it PESTLE. Performing a PEST or PESTLE analysis will help you better understand the changes that are occurring in your business and industry. This way, you will be better prepared to take advantage of opportunities and minimize threats. 1. It will make it easier to spot both opportunities and threats and prepare for them ahead of time — before your competitors do. 2. It will help you better formulate strategic plans so you’re working with change instead of fighting against it. 3. It will help keep you from spending valuable time and resources on projects and initiatives that have a low probability of success. 4. It will help you break out of “inside the box” thinking and preconceived assumptions about your business, industry, products, markets and customers that may be holding your company back from reaching its full potential. Note: A PEST or PESTLE analysis is not the same thing as a SWOT analysis, though they are sometimes thought of in the same context. A SWOT analysis — which stands for Strengths, Weaknesses, Opportunities and Threats — is more micro-focused at the individual business or product level, while a PEST or PESTLE analysis takes more of a big-picture, holistic look at industries and markets. However, these two types of analysis may complement each other and be used together. Political factors — How could your business or industry be affected by a change in the political landscape, such as the election of a new president, governor or mayor? If you do business overseas, how stable is the government in the countries where you operate? Economic factors — What is the current state of the national and local economies where you operate — healthy, stagnant or in decline? Is consumer and business spending strong or weak? What about access to credit among your customers and prospects? Socio-Cultural factors — In which broad generational category are most of your customers and prospects (Baby Boomers, Millennials, Gen X, Gen Y, etc.)? What are this generation’s attitudes when it comes to issues that might affect your business? Is the population of this generation growing, stagnant or declining? Technological factors — Have new technologies emerged in your industry recently that have changed the way customers shop or buy from you? Have new technologies changed the way that your products are produced or services are delivered? If not, can you foresee any new technologies like this on the horizon? Legal factors — Have new laws, regulations or policies recently been enacted that affect your customers or your industry? If so, have you planned for how your company will adapt to them? If not, can you foresee any on the horizon? Environmental factors — Does the manufacture of your products have a direct impact on the environment? Is your company affected by changes in federal, local or state environmental laws and regulations? How could changing consumer attitudes about environmental issues affect perceptions of your company and your products? 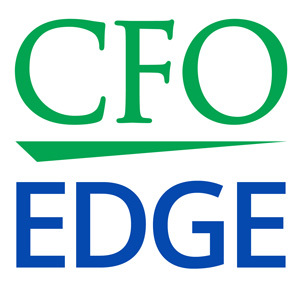 An outsourced CFO services provider can help you perform a PEST or PESTLE analysis. A CFO professional will bring an outside perspective to the process, which can be helpful when it comes to seeing opportunities and threats in a new light. An outsourced CFO will meet with you and your executive management team to analyze each of the factors listed above and plan strategically for how you can manage their impact on your business. A PEST or PESTLE analysis can be a useful tool to help you identify opportunities and threats facing your business. Performing such an analysis will help you better understand the changes that are occurring in your business and industry so you will be better prepared to take advantage of opportunities and minimize threats. An outsourced CFO services provider can help you analyze each of the factor components of a PEST or PESTLE analysis so you can better plan for how to manage them.